If various reports shared over the weekend pan out then we know quite a lot about Nvidia's mid-range graphics card plans for the immediate future. 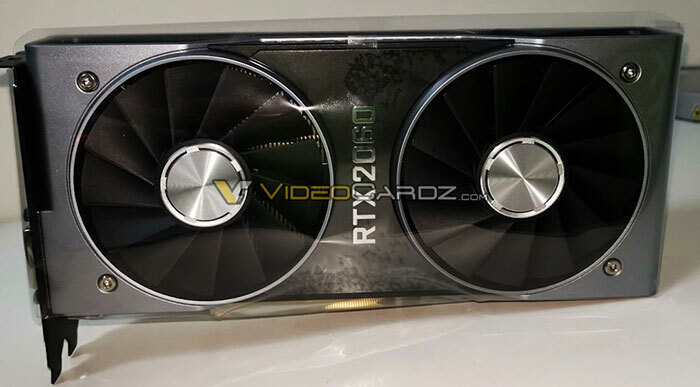 According to VideoCardz, the GeForce RTX 2060 will be launched at the CES 2019 on 7th January. It reckons Nvidia CEO Jensen Huang is likely to personally announce the new graphics cards at a keynote address. The Nvidia GeForce RTX 2060 Founders Edition will look a lot like the RTX 2070 externally. 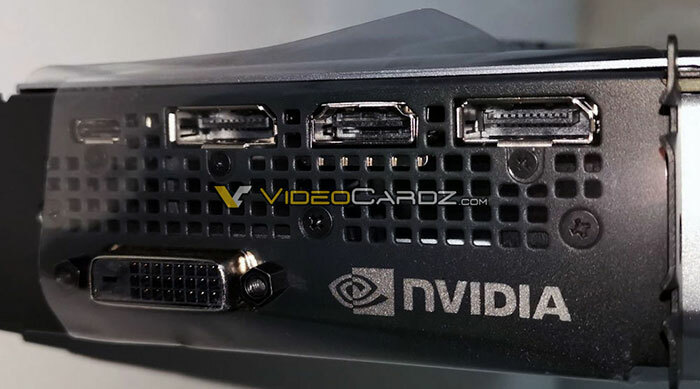 It is said to feature a single 8-pin power connector and a full cover backplate, plus 2x DisplayPort, 1x HDMI, 1x DVI and 1x USB Type-C connector. Inside, the TU106-300 GPU boasts 1920 CUDA cores, 30 RT Cores, and 240 Tensor cores. It is estimated to offer up to 6.5 TFLOPS FP32 compute, and will come with various memory configurations as previously indicated. 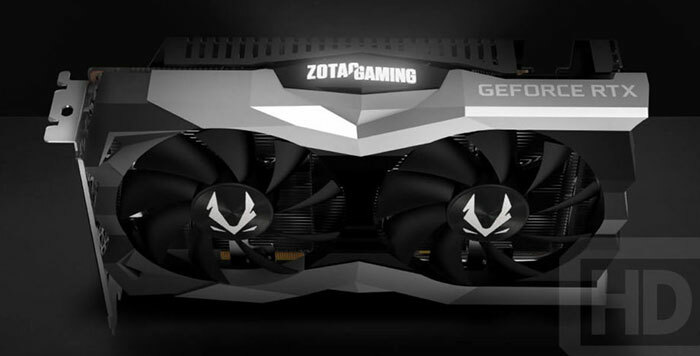 The GeForce RTX 2060 Founders Edition will be have 6GB GDDR6 RAM on a 192-bit bus. This model, with a base clock of 1365MHz and boost clock of 1689MHz, will be priced $349 at launch. While the RTX 2060 is launched on 7th Jan, it won't be available in stores until the 15th. That's not all, with regard to benchmarks, the Reviewers Guide is also said to include comparative benchmark numbers for gaming in 1080p and 1440p for a wide range of games including Far Cry 5, The Division, Shadow of the Tomb Raider, Witcher 3, and PUBG. At either resolution the RTX 2060 looks to sit somewhere between the GTX 1070 Ti and GTX 1080. I've included a truncated set of 1440p results below for your convenience but VideoCardz has shared two full tables of results. The 7th January is just a week away, so let us hope we get the above specs and performance confirmed next week, with 3rd party reviews hot on their heels. UK availability information and pricing will be good to see too. Maybe it's the season, maybe it's the sleep deprivation, maybe it's the opiates… I do like this card and I think it'll do well, deservedly so. Just needs that little bit of a price drop and that'll probably happen when 1070 stocks deplete sufficiently. This is the kind of generational leap (from 1060 to 2060) in terms of performance that I want to see across the range. I suspect that these are optimistic benchmarks and are unrealistic given most people won't be daft enough to spend 1K on the CPU and then get a mid range GPU but at least the testing appears consistent across the board making the comparison useful if not the measurements in isolation. I really think Nvidia should have been more sensible with their releases and either released the range at once or at least released the 2080Ti alongside the 2060 to show that, whilst yes there is a stupid price premium on the top end stuff, they are still releasing perfectly serviceable cards for the mid range with a good improvement in performance over the last generation and you don't have to be a millionaire to game on PCs. What is missing is the quality settings they used. I am DEEPLY sceptical that those “RT on” figures are with high quality settings. At which point it's a matter of which do you sacrifice? Texture quality or lighting quality? Could make for an interesting analysis. The big problem from what we read elsewhere is that there will be a stupid number of 2060 models, so consumers will think they're getting the performance shown in the table above, but may get substantially less (based on previous Nvidia outings). It will be fairly hard for consumers to know, unless they're really clued in. I'm pretty certainly all the reviews will be the “top of the pile” cards! (I think another hexus article said the one manufacturer had 26 different 2060 models!). Well now this will be interesting especially when it comes to the Laptop range, it even performs better than the 1070 and almost similar to a 1070Ti, which is great now all we need to know is proper benchmarks and whether if its still worth hype that some still hope for at budget. My concern is pricing, which remains a bug bear with this range. This may be a leap forward from the GTX 1060 with performance matching the 1070Ti, however, if prices also match the 1070Ti then this is another fail. Ignore the model number and consider performance/cost, in which case it does not appear to me as a step forward . You're right I think. It's going to be like the STUPID and seriously annoying 1060 branding which could relate to any number of different GPUs and then different RAM configurations on top of that. It's almost as bad as Samsung giving Enyox (?spelling) processors to a large area of the globe and Snapdragon ones to the rest (Enyox ones are really dire compared to the SD ones these days although I think optimisations means the phones don't suffer too badly) but they give all the reviewers the SD ones and they call them all the same model, even though the very core of these things is different with markedly differing performance metrics. You go and look at a review of the 1060, think it's for you, buy one off the shelf and you get a different card to the one you've read the review of and the benchmarks don't relate to what you're buying. Changing the quantity of memory is fine because you can specify that on the box but changing the core of the thing is just misleading and wrong.